heather & olive: plenty slaw. This is seriously the best slaw of all time. 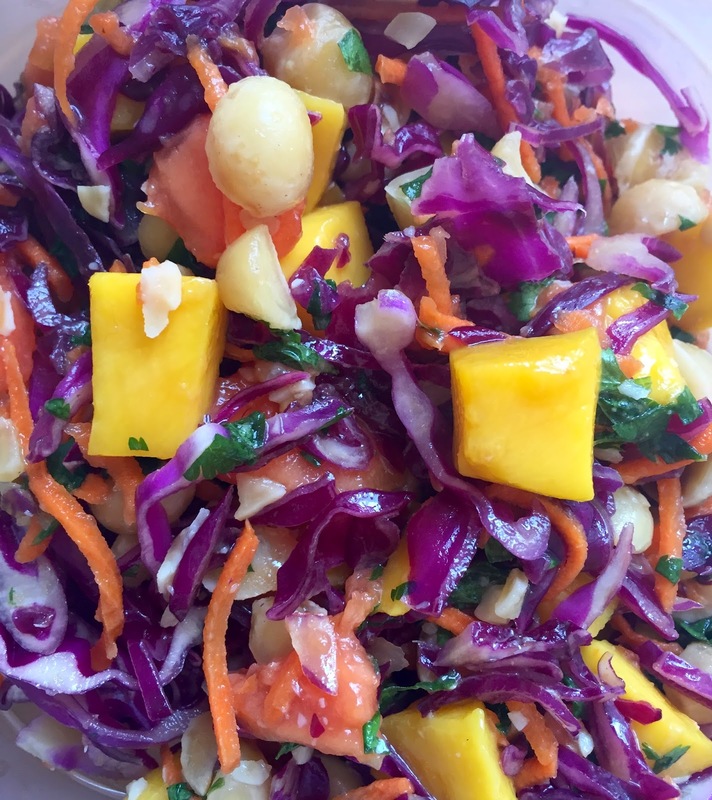 It's from the Plenty cookbook, and it's actually called "Winter Slaw" which is kind of weird because it has ingredients that scream summer to me, like mangoes, papayas and macadamia nuts...regardless of when you eat it, it's delish. Combine all dressing ingredients except for the olive oil and sesame oil in a saucepan and cook until thick and syrupy, about 5-10 minutes. Strain and add oils and set aside. Over medium heat in a frying pan, dry roast macadamia nuts for a few minutes, until they’re lightly toasted. Add butter, and once it melts, add everything else and stir until coated and carmelized. Let the nuts cool, then chop. Shred the veggies, and then chop fruit, and slice the chile into strips. Combine everything and serve. * I omitted the savoy cabbage and just used red. ** I used half a papaya. *** I omitted the red chile because my dad hates the spice.